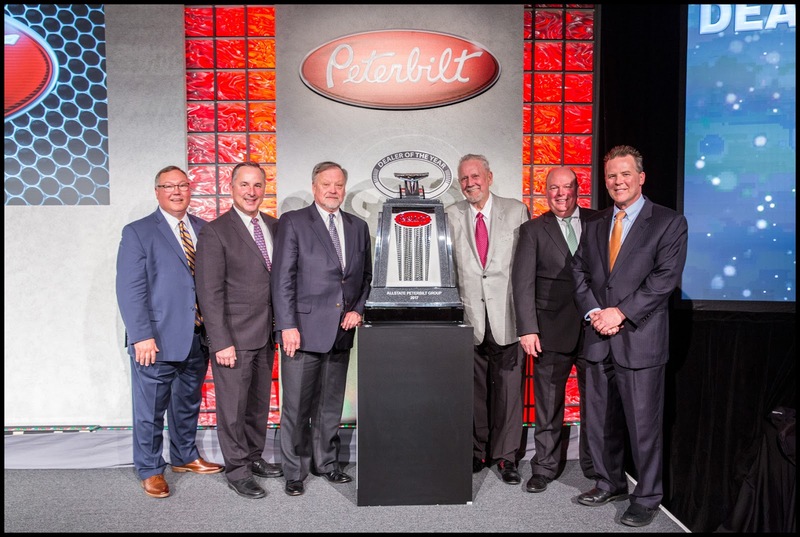 DENTON, Texas – February 20, 2018 – Peterbilt Motors Company names Allstate Peterbilt as the 2017 Dealer of the Year. In addition to Dealer of the Year for 2017, Allstate Peterbilt also takes home the Platinum Oval award which is given to the group of elite Peterbilt dealership locations who have demonstrated outstanding performance in all aspects of the Peterbilt Standards of Excellence program, a 2017 Best in Class award which honors the dealer organizations that rank the highest across the North American dealer network, and the TRP Dealer of the Year award which honors the top performing dealer in supporting the PACCAR Parts all makes TRP brand. “We are very proud of this achievement” added Don Larson Dealer Principal and Owner of Allstate Peterbilt.